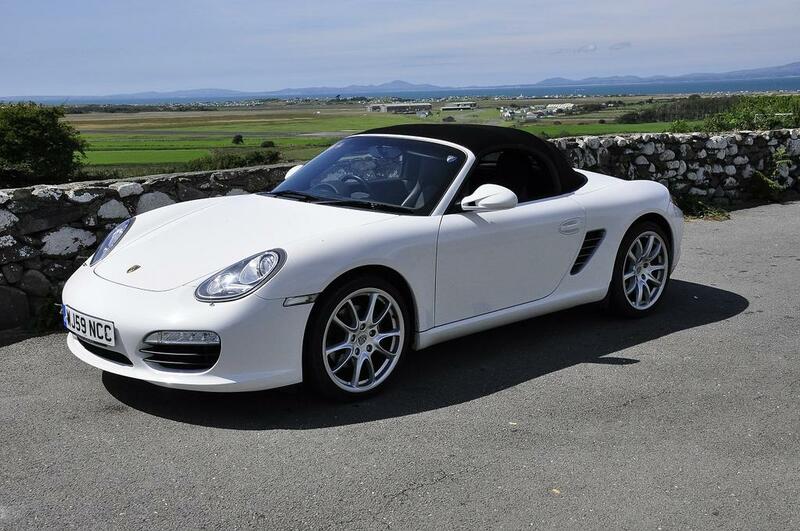 Forum Home > All Forums > Porsche Cars (Registers) > Boxster, Cayman > Boxster > A/C? Is this right?? 2009 Gen II 2.9 987, 48K miles, runs a dream. Off to France soon so did a full a/c 'test' this afternoon from a 28 deg start. Air from the vents (all 3 channels open) and Max A/C and the air is cooler but not 'bloody hell, that's cold' reaction after a few mins or 20 mins. Car going to Zuffenhaus for a service next week, so will ask them to check it, but shouldn't it chill better than that? Our test in a service is to check the exhaust temperature through a central vent, with re-circ on, set to ‘lo‘ and with the other vents closed. Our pass/ fail criteria is loosely 7 deg c - obviously ambient temp has a big factor. This is after a few minutes of running. A good car may be about 1 deg C.
This is conducted with a special thermometer. The back of the hand may not be so effective! You can also check the gas pressure through the diag port. Again, when working this will be in excess of 5 vat, nearer 10-12 for a good system. I had the car re gassed 2 years back as there was no chilling whatsoever then, it worked well after. the people who recharged it put a dye in the fluid so leaks would be more apparent. Ill get Zuffenhaus to have a look. I religiously hose the two rads clean from the front every time I wash it. The people who regaled the car commented how clean they were. hope the regaling need can be traced on the day. One of my condensers failed a few months ago on my 981. I decided to replace them myself as the job is very simple. Bought 2 condensers & a drier unit for less than £190 from euro car parts when they had one of their 37% off offers when bought online. I opted for OE equivalent units. Whilst the front bumper was off, I also fitted some plastic mesh to the inside of the duct opening cross bars. 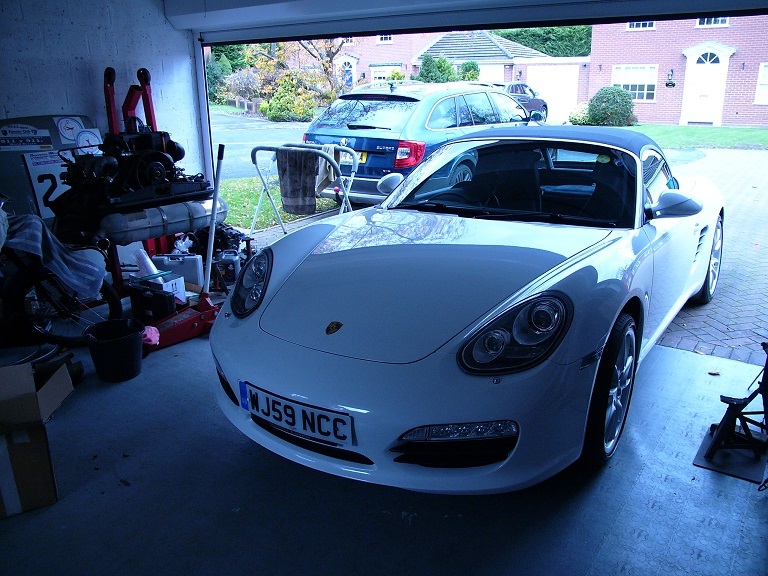 The regas cost me £85, I believe all models of the boxster uses 850 grams of refrigerant gas for a full system refill. This includes a small amount of special refrigerant oil to lubricate the compressor and a UV dye to show up any future leaks. 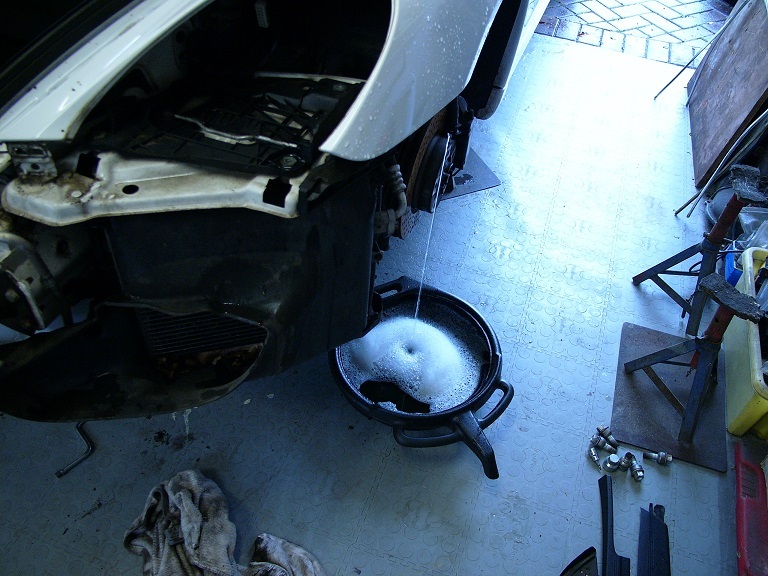 I also used to clean out the duct area every time I washed the car but its a design flaw in my opinion. Why don't Porsche fit mesh to the duct openings at manufacture. I used a multi meter to test the vent outlet temperature when mine failed, it was just coming out at ambient temperature. Once it was fixed & regassed, on a warm day mine quickly got down to 6-7 degrees. I remember Ed China on Wheeler Dealers once said the vent temperature should be about 5 degrees. That is very useful to know, esp the Euro Car Parts costs. I'm handy with a spanner, so should be straightforward if I need to change the rads etc. Zuffenhaus will check the system next week at the service and re-gas if appropriate. If one rad is punctured, then I hope it will show up on the pressure test. They will do a vac test on the system first to check for any leaks before attempting to regas. And if the last gas recharge used the UV dye then they will use a UV light to check where the leakage point is. Although I took mine to a garage ac specialist to check why my ac wasn't working, I looked at my condensers and could see where the leak probably was as the refrigerant oil had left a stain on the bottom corner of the offside condenser. Their UV check confirmed that. The front bumper comes off easy on the 981 and suspect its the same on the 987. Only tricky bit is the cable loom connectors. I removed the headlights first just to make things easy, then disconnected the loom connectors behind the light units. To make life a lot easier to reconnect them when refitting the bumper, I removed the front half of the wheel arch liners which gave much more access to get your hands in to clip the loom connectors back together. To be honest, I was amazed at how easy the job was. When using the new condenser o-rings, these needs to dipped in special refrigerant PAG oil which I bought from Car Parts for Less, a spin off site from Euro Car Parts I think, as they had the small bottle of oil cheaper than ECP. I soaked the o-rings for about 15 mins before fitting. The o-rings that came with my drier unit were too small so I was very careful in removing the old o-rings, soaked them in the oil and re-used them and they were fine. car goes in on Tuesday morning, serviced while I wait. 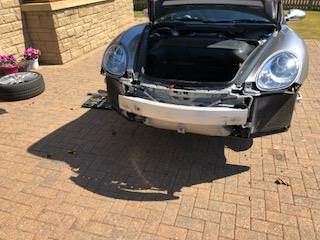 Had the same a few weeks back, 987 is an easy bumper removal, clips holding bumber to upper wing requires care on removal. Mind not too happy, I was told old ones were weeping at my minor service. They were fine, wont elaborate, but very miffed. I imagine this can be 'lucrative' for poor specialists, but I have a lot of faith in Zuffenhaus and their integrity. Tomorrow morning will tell as to where I am. If the system fails at the Service, I'll ignore the poor a/c, and fix the rads etc on our return. Mine had a leak which did not show up on a pressure test when the air con machine was connected. The re-gas lasted about two weeks before the air con stopped working. Luckily I had ATS perform the air con re-gas so after a quick phone call they agreed to do it again free of charge after I fixed the leak. OPC quoted over £1,100 to do the whole job.... I bought condensers & drier unit from CoolPartsUk (ebay) with a two year warranty & new seals from OPC. Bit fiddly getting front PU off but not too bad a job & managed to get it all up & running for less than £150. 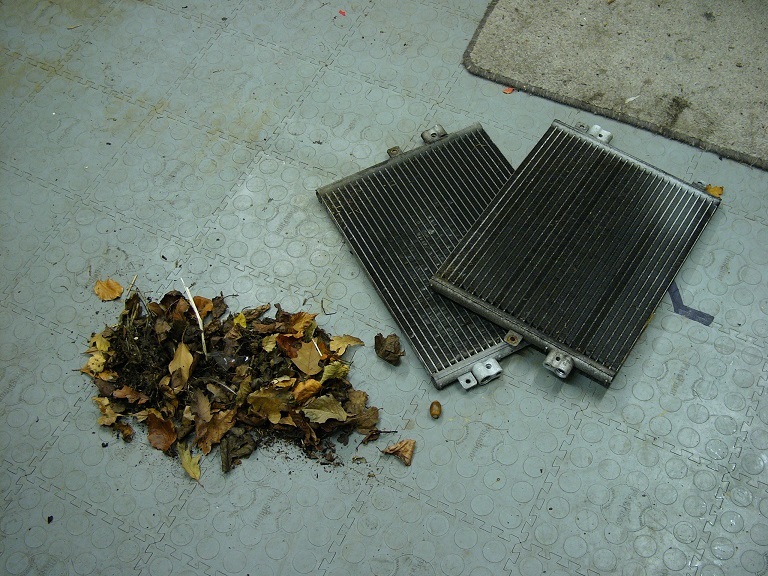 Condensers were leaking slightly from the top which was difficult to see through the front air intake. Boxster up on the ramp at Zuffenhaus, and I have a leaked radiator, drivers side, other is ok. So, no regas and a days job for me after French road trip in Sept.
Ill follow all the advice you have given me and DIY the job and use OPC seals. Zuffenhaus have shown me under the car while it is up (nice bit of customer service) and pointed out a few clamp issues on the exhaust and the corroded inner faces of the near new front discs, AND explained why this happens which made a lot of sense. Ill get the rads done, and come back for a regas and the clamps to be done. You have to be impressed with the honesty of this Independent even if they have given me some homework to do! Someone told me a while back that the inner side of the discs are prone to rusting up if all you do is gentle braking. Its a performance car including the brakes so I was told that its important to work the brakes every so often to keep the inner surfaces of the discs clean. I had also heard stories of exhaust clamps and flange bolts corroding up to the point where they are impossible to remove with spanners and then have to be ground off. Fortunately for me, the OPC I bought my 981 from had replaced the corroded bolts on the post-CAT flanges due to leaky joints just before I bought the car. But they had fitted carbon steel bolts. So I replaced these with stainless bolts. I also replaced a few of the exhaust clamps (both hangers and pipe clamps) with some Mikalor clamps (got these from Westfield Fasteners). Mikalor now do a W5 version which is made of 100% 316 marine quality stainless steel so will NOT corrode. And make sure you do both condensers as the fridge gas is not cheap and you don't want to have to do the job twice. Have a good trip to France. Yes, I'll do both as the other is bound to be close to leaking. I think these getting done also improves the selling value of the car in the future. As to the brakes, when I asked about inner face corrosion at the recent PCGB seminar on the 987 the official answer was to drive the car harder. Not so easy to do on the UKs roads safely! the inner surface condition compared to the outer has to be seen to be believed. Pads and discs were new 8k miles ago. Interestingly, the Car passes the MoT and cannot be failed on this corrosion as long as brake efficiency is met, but an advisory can be added. This is a great car, but I wonder if it is all really worth it! 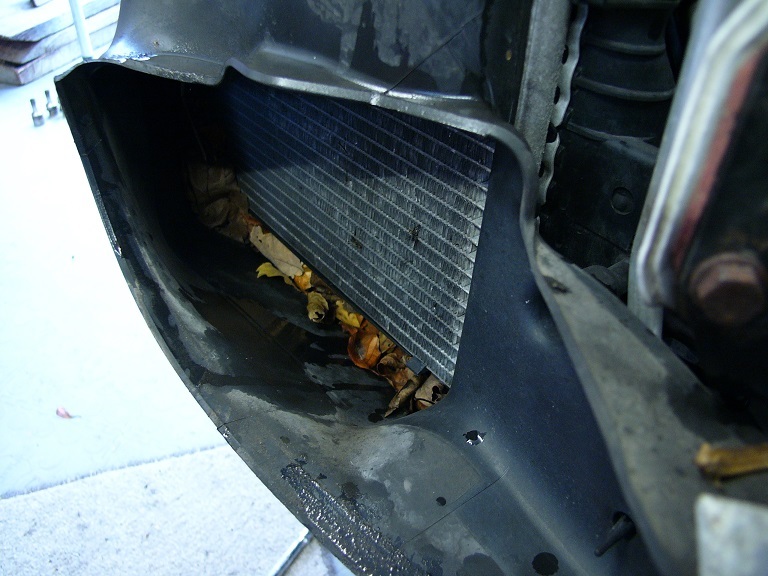 Leaking a/c condensers - rusting brake discs - chocolate exhaust system bolts. Not really what you'd expect from a "premier" brand, but built-in obsolescence provides both Porsche Centres and Independents with plenty of work..! Prices for these parts certainly vary! 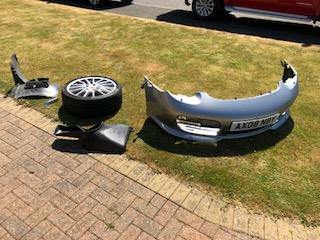 Got down to about £150 for the lot but need to price those bumper clips from OPC just in case. This forum is saving me a fortune! "Leaking a/c condensers - rusting brake discs - chocolate exhaust system bolts"
" Not really what you'd expect from a "premier" brand, but built-in obsolescence provides both Porsche Centres and Independents with plenty of work..!" I had no intention of working on the Boxster when I bought it, but OPC/indy prices and the ease of the jobs that have needed doing so far changed my viewpoint. And these forums are a great source of knowledge shared among like minded enthusiasts. I also have two MG's and a Mizzy FTO and the forums I use for those are the same as on here, "knowledge is power". Got the car front on stands and removed the screws and plastic with little problem, even the 'unique' clips came out once I made a simple hook pull. Nobody has been here before in this car, good to see. The debris trapped in the rads and shrouds was an eye opener, even had a nice dry acorn in the pile. Got the rads from ebay as suggested here, £82 the pair, rest came from design911, fresh clips and O rings from OPC and some oil from ebay too. Total was £152. The pair of clips were £7.65, interestingly, the same clips from design911 were £20. All plastic off, but disconnected the headlamp washer hose on the NS and the whole screen wash tank started to empty itself on the floor. Rads off, clean everything and new rads on. All fitted a treat. Can't last. New Disc and rings, all ok...can't last. Put the headlamps back in! WHO designed this stupid mechanism? The Porsche tube socket cracked, brazed it together but it slipped on the small 5mm AF form on the toggle bar. Used a socket set in the end and with one eye closed turned the toggle bar with a high torque and the lamnps locked into place. Boxster front wheels are sure heavy too!! Booked into local tyre fitting place for a re-charge and then all done. This has been my first DIY on this car, so one cherry popped. Thank you to all who have helped on this thread. 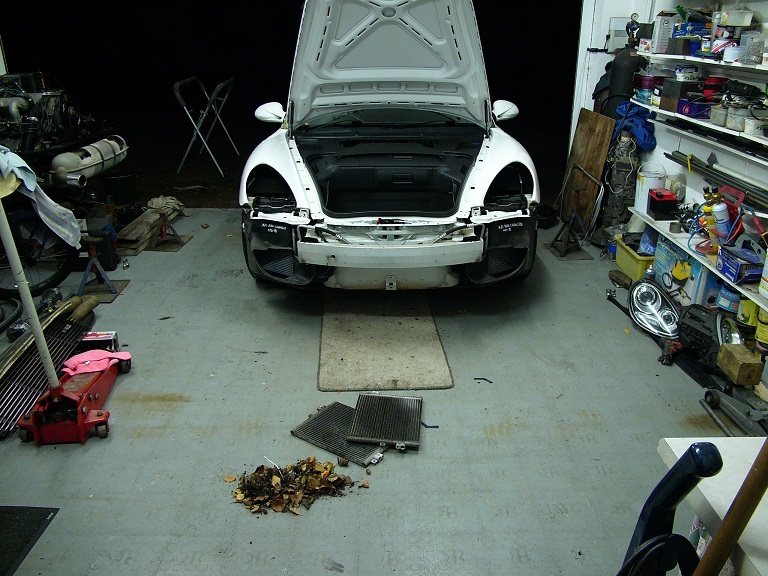 There is actually no need to remove the headlights to do this job, talking a 987 Boxster here.